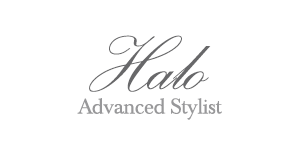 Halo's styling career began in 2007. She attended Toni & Guy Academy in Scottsdale Arizona. After graduating she began working as a assistant to highly regarded Stylist that had over 20 years of experience in the Beauty Industry. Over the next 4 years she assisted other top of the line Stylist who taught her extensive knowledge of advanced techniques. Combining her skill with her creativity and passion has created high demand for her Services across the board. “ Love for color and transforming peoples looks is what drives me. My Goal is to make each client feel confident and special. Its the greatest feeling.” She hopes to keep expanding, growing and learning while enjoying expressing her creativity one client at time.